Home EDITORIALS Can Food Allergies Be Cured Or Is It Just A Myth? Can Food Allergies Be Cured Or Is It Just A Myth? Eva is the light of the party, any party in the entire area where we live. We just love to see her dance, sing and basically enjoy all the good things in life. So, it definitely is a problem when she suddenly cannot attend a party unpredictably. When we were young, we thought better of asking her as to why she suddenly disappeared from that particular party, or did not attend a party even after she had committed to do so. Only after she married Ralph, a close cousin of mine, did we find out what she was living with all her youth without any need to do so – food allergies. Eva was allergic to red meat, and having any kind of red meat would create rashes on her face and the next morning would be quite difficult. Allergies are rapid and predictable medical situations that require immediate medical attention once they are evoked within the individual. 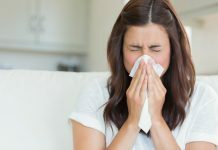 The allergies are basically a disorder of the immune system that occur on an individual basis, triggered by coming into contact or being near environmental substances and objects that are otherwise harmless generally. 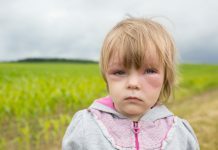 With some research and medical help, we found out that food allergies are generally caused due to one’s adverse immune response to one of the many proteins found in food. This protein that triggers the actual allergy is called an allergen. The main reasons of food allergies are various toxin mediated reactions, food intolerance or other medical reasons. People who have food allergies should be careful. If the food allergy is not taken proper care of, the repercussions are usually mild. But if these reactions are not taken care of, they may be quite serious and in rare cases, even fatal. To cure food allergies, one should first understand the difference between food intolerance and food allergy. Mostly, if a person has had an unhappy experience having some kind of food, they think that they have an allergy to that kind of food, which is not so. Only about one percent of adults and about two percent of children actually have a clinically provable type of food allergy. Food allergy is mainly caused due to three reasons, the immune system, hereditary aspect or it may be due to mechanism. 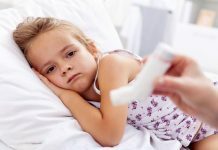 When it comes to the immune system, the allergic reaction is caused due to the dual aspects of the immune system of the antibody called immunoglobin and the mast cell. Immunoglobin circulates through blood and the mast cell is found in every tissue in the body. It is most common in the areas of the body that are most common for allergic reactions, like the lungs, skin, nose and throat. Therefore, the answer to the question, can be answered by paying more attention to these three reasons. 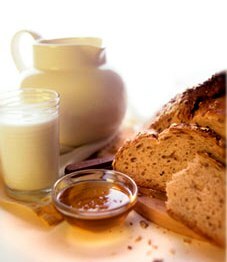 Food allergies are caused by the allergic reactions to some kinds of food, like yeast, wheat, eggs, milk, soy and corn. The allergic reactions to these kinds of foods can appear within minutes or even after days of having eaten the object. While food allergies are not as dangerous as other allergies, they can quite hamper the social and personal life of anyone. Food allergies can be cured with the common medical approach as well as the holistic approach of homeopathy. 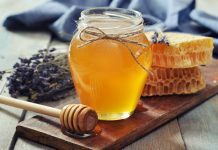 In homeopathy, first the doctor tries to strengthen the immune system of the person so that even if the person is exposed to the deterrent food protein, the upcoming reaction is not as drastic as it normally would be. Homeopathy takes a different approach to food allergies. While not eating the types of food that cause the allergy can be beneficial for the short term, homeopathic medicines strives to make it possible for the person to eat almost anything that they wish. 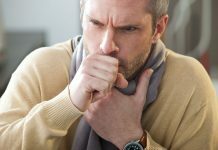 There are several medicines in Homeopathy, like Nux Vomica, Carbo Vegetabilis, etc, that can be administered to the individual in accordance with the type of allergies that they face. Therefore, Homeopathy can be the answer to the question.